Congratulations! You made it through all of the stages of the interview process and your dream company is making you a job offer. You’re on cloud nine until you get an email outlining your compensation package. It wasn’t what you anticipated. What do you do? In this post, we’ll break down the individual components of an offer in order for you to prepare to negotiate terms closer to your goals/objectives. The goal of your negotiation is to ensure that you AND the other party part with smiles on your faces. In order to come to an optimal offer for both parties, you’ll need to carefully structure your negotiation plan. You’ll want to make sure your negotiation strikes the perfect balance. Don’t over-negotiate. This could cause the hiring party to re-evaluate their decision to hire you. You also don’t want to under negotiate – or leave items unaddressed. 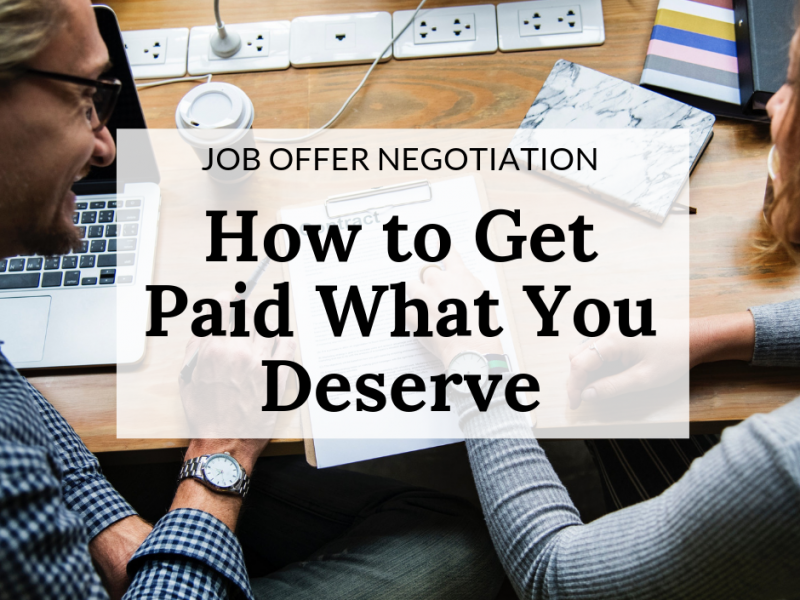 This will only haunt you and leave you wondering, “what if I had asked for more?” There is definitely an art to crafting a negotiation that strikes the right balance. The first thing that you need to do is remove any emotion that you have concerning the offer. Negative emotions will only cloud your judgment and ability to reason. Without clear reasoning, you won’t effectively be able to articulate why you should get more. Once you’ve set your goal and removed the emotion, you are ready to analyze the offer components. Now is the time to put on your analytical thinking cap. In almost all cases, if there is a discrepancy with the offer it’s in the numbers. You’ll need to compare your current compensation package against what you would be making as per the job offer. Using a simple spreadsheet or sheet of paper in order to conduct a side-by-side comparison is a great way to analyze the numbers. Over 90% of the time base salary is the reason for job offer dissatisfaction. Before you get down on your base salary, you’ll want to consider the reasons why you are receiving a low base. You may be receiving a low base because you are taking a job that’s a step down. Remember, taking a step down can be an effective strategy to minimize risk in a career change. Or maybe you were being underpaid in your prior role. Regardless of the reason, it’s important to have a basic understanding of what other people are making in this position. You’ll need to consider the position as well as the industry and geographic region. Different markets can result in different pay for the same role. Network with recruiters or industry contacts to get a firm understanding of salary range for your market. Once you’ve established your market, you’ll want to ask yourself where this stands against your offer. Unless you’re grossly underpaid or your offer was undervalued (low-balled), you should be in or close to the market range. Common base salary increases average between 5-15% in the world of recruitment. This is what I’ll coin “realistic”. It is possible to get more. Anything’s possible! However, as an individual’s base salary approaches the 6-digit range+, huge increases are less common. If you fall into the 5-15% base pay increase range and you want more, you must have valid reasoning and numbers to back it up. For example, maybe your commute increases and you’ll have a higher expense for transit. You might want to share this estimated yearly total as to why you’re asking for a slight bump on the offer. If the hiring manager is fair and/or they really want you, this shouldn’t be an issue. However, no two HR/Hiring Managers are the same. Some HR/Hiring Managers won’t move their initial base salary offer no matter how strong the case. Therefore, it’s better to inquire about other areas where there might flexibility. Make note of how the HR/Hiring Managers treat you at this stage and watch out for red flags. It may not change once you’re an employee! Be realistic in your approach and objectives and move on if it appears that there is no wiggle room to increase. A bonus is typically paid at the end of a fiscal year and is a result of how well you and the company performed. It’s designated as a percentage of your base salary and formulated on your ability to meet or exceed goals and objectives. You could negotiate a higher bonus but at the end of the day, bonuses are subjective. You as an individual could knock it out of the park from a performance standpoint. However, if the Corporation does not hit its overall objectives, your bonus could be $0. Commission is a percentage paid entirely or partially from individual sales or work completed. Commission is typically a smaller number (%) that pays you on the product sold. It may also have a strong correlation to your monthly income. Make the conversation short & succinct with valid reasons for “why” you deserve a bump. I’ve had more than few candidates leave this conversation successful – which resulted in a big payday! Salary and bonus negotiations aren’t always successful (and that’s okay). If you’ve tried to negotiate the money with no success you may want to think about negotiating non-monetary items. Non-monetary negotiations may allow you to get more. Think: vacation, tuition aid, tuition reimbursement, professional membership dues, parking, tolls, laptop, position title upgrade… The list goes on and on! It’s important that you include these items on your spreadsheet and any nominal value if you’re currently receiving (even if you’re currently unemployed include your past numbers) this benefit. If you want to be fully prepared to negotiate your salary, check out our Compensation & Negotiation Coaching package. It covers all the bases—understanding your market worth, preparing for the conversation, learning how to structure responses / requests, and expert support throughout the negotiation process. 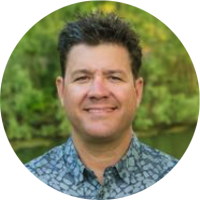 Scott Rice is an Executive Recruiter by day and a Business Transition Specialist 24/7 as well as an Interview Expert with NG Career Strategy. He specializes in helping people succeed, whether it's recruitment, prepping clients for an interview, or diving deep into a job offer negotiation.